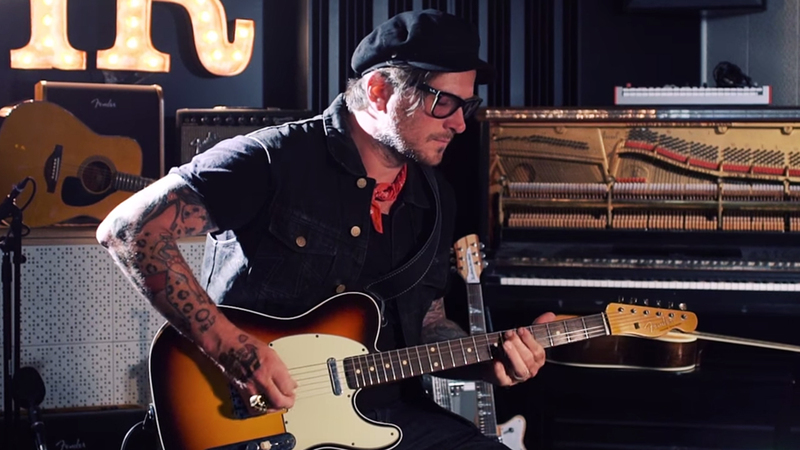 Butch Walker joined us last year for an episode of our web series, Ernie Ball: String Theory. As usual, the episode is filled with moments of insight into the guitarist’s background, history with playing guitar and more. Here, we present to you the six biggest things we learned about Butch from his episode. We’ve provided the timestamp for each segment as well, so you can follow along. Witnessing the masters of concert performance at the tender age of 8 was the impetus of Butch’s guitar journey. Butch says that in his nascent development as a guitarist, he would tune in to the distant radio stations of Atlanta and record songs onto cassette tapes in order to learn and play along to the songs of the day. As a working artist, output has to stay consistent. In order to keep from getting burnt out, Butch has worked out a formula to stay inspired. Musicians can tend to be a little overprotective of their gear, however according to Butch getting wear on your instruments can be rewarding in its own way. When first being taught, guitar players can be taught to revere technique above all else. Butch reminds us that experimentation and putting your own unique touch on your music is what brings the biggest joy out of playing any instrument. Watch every episode of Ernie Ball: String Theory at our website, featuring such players as J Mascis of Dinosaur Jr., Dhani Harrison, Joe Bonamassa, and more. You can also enjoy some of Butch’s most popular songs in this Spotify playlist. Butch Walker plays Ernie Ball Power Slinky electric guitar strings. Do you? Try a set.